Anything named after an ethereal mythical ocean-going fire-breathing monster is destined for the highest echelons of coolness. 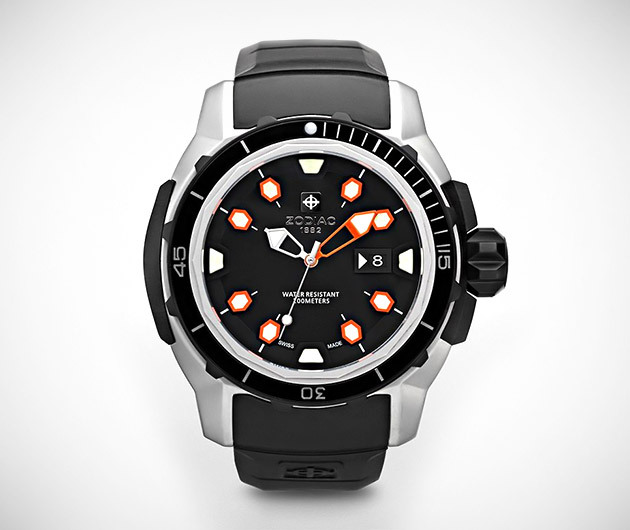 The gorgeous Zodiac Sea Dragon ZMX-6 sports a brushed stainless steel case, anti-reflective sapphire crystal, uni-directional bezel with an aluminum insert and orange super-luminova accents on black IP-applied indexes. Like most of the mightiest timepieces, and holey cheese, it's Swiss-made too.